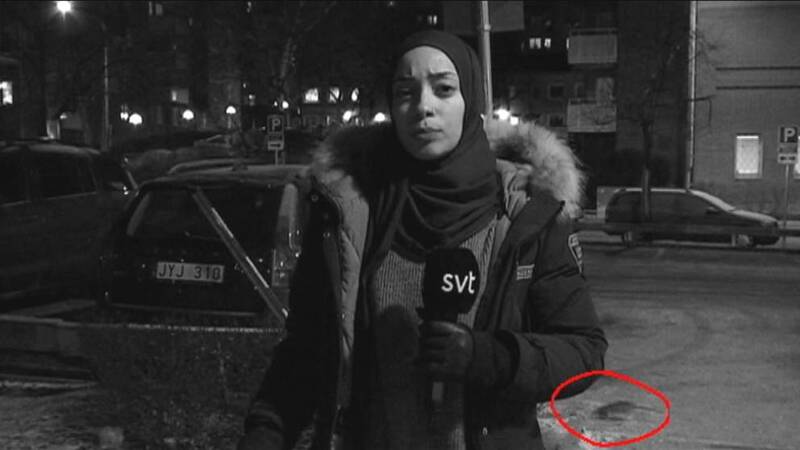 VOE: Swedish State TV’s news reporter – an openly anti-Semitic hijab-wearing Islamist……. – The Tundra Tabloids……. I am reminded of a case that went before the Swedish authorities concerning the grand mosque in Stockholm making available antisemitic videotapes that also called for the murder (reciting koranic/hadith verses) of Jews. The then Swedish Chancellor of Justice (JK), Göran Lambertz, refused to press charges for incitement against the mosque despite the fact that he admits that that video was “extremely degrading” to the Jews. “calling them apes and pigs, cursing them and calling for Jihad against them, emphasising particularly that suicide bombing is a very effective weapon against them. And the motivation of the JK? He thinks that these statements “should be differently judged and considered to be allowed/legitimate, because they are used by one party in an ongoing deep conflict where battle cries and defamation are contained as everyday elements in the rhetoric around the conflict”. Much more here at VOE. Previous Post Previous Post Dr.Manfred Gerstenfeld: The EU Cannot Fight Antisemitism Effectively……. Next Post Next Post Australia: Avi Yemini shows Jim Jefferies as a hypocrite who characterized Muslims in a far worse light…….